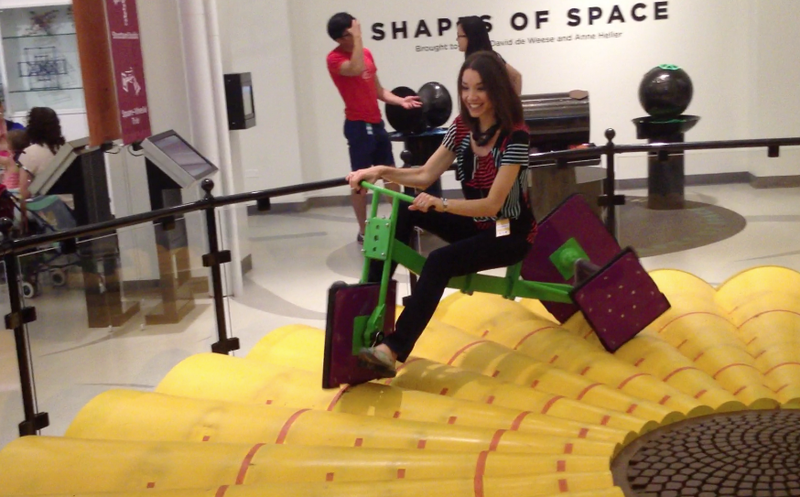 * Visited the Museum of Mathematics in New York City! My husband and I took a day trip into the city, leaving our son with all four of his grandparents for the day (a rare occasion indeed). Tim and I met in our college years (inevitably, being two of the few Secondary Education / Mathematics majors at Clarion University in the late 90s) and though this museum visit was hubby’s treat to me, I think it’s safe to say we both felt right at home exploring the unique hands-on exhibits for hours! 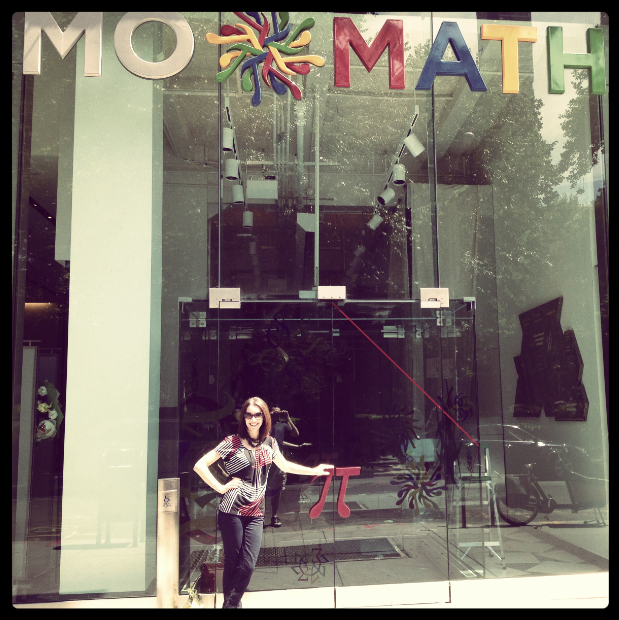 All of New York to roam with babysitting firmly in tact, and we dedicated the majority of our day to MOMATH! * Exhibits were designed to be manipulated, with most providing a touch-screen explanation of the task that could be instantly modified for beginners, intermediates, or experts. Participants of all ages could explore the mathematics to the depth of their own choosing. * The staff was knowledgable and willing to explain and help as little or as much as we wanted. They let us explore puzzles and such with patience and perseverance, always willing to lend a hint, but only at our request. * Folks were having fun! Yes, a museum about math brought true enjoyment and curiosity to the visitors. I wish I could take my students there for a field trip! P.S. 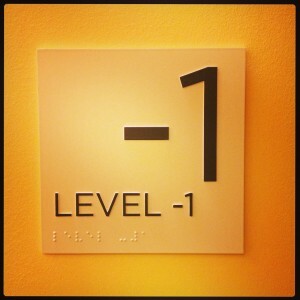 I love the way the museum labels its levels! This entry was posted in Algebra 1, Pre-Algebra and tagged hands-on, momath.org. Bookmark the permalink. Thanks for posting this, visiting NYC with the family in July on vacation (from North Carolina) and we are looking forward to checking out MoMath during our visit.